I have to say Ifrit from FFVIII. He was channeling my rage to the bosses back then. What can I say? I used to die atleast a dozen time on every boss untill I learned that I should learn the stat junctions from the GF's and Draw as much as magic as possible. 'Twas too late since I'd completed the game in the most hard way possible. Sigh... I was such a noob back then. Bahamut. Another dragon lover here. I prefer his more classic designs though. Next to that, I dig Alexander's "protector of mankind" meaning and Odin is just mad amounts of awesome. My favorite summon is Bahamut. He is my favorite because I tend to like dragon creatures such as him. I specially liked in in Final Fantasy IV because he was the God of all Summons/Eidolons, which is a pretty deserving position when you consider he is one of the franchise's most powerful beast. 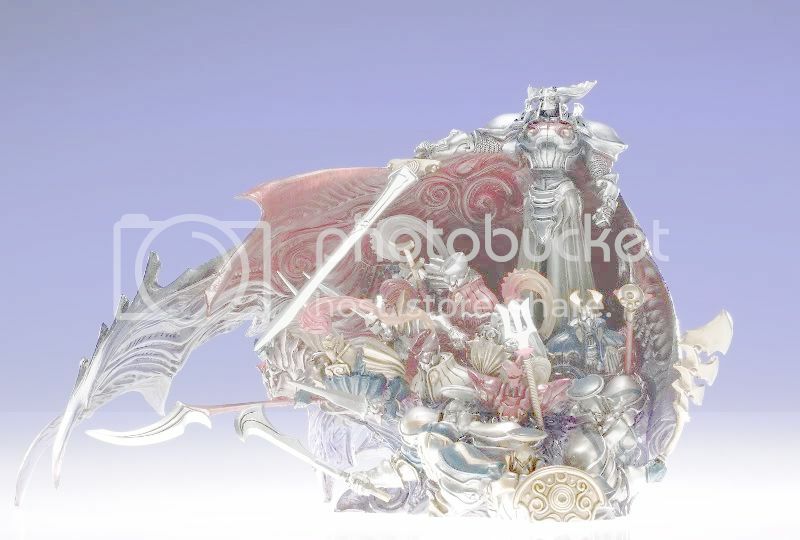 I also like some of his designs, none has failed to impress me (although Neo Bahamut from Final Fantasy XIII-2 is not that appealing to me). Another trait I like about Bahamut is his attack which is the Mega-Flare, a VERY deadly attack for enemies and player. I agree with you there. I personally liked Final Fantasy XIII's iteration of the great Odin: either a swordsman or a horse the protagonist may ride. I think it was in Final Fantasy V, VI or both where you could upgrade him into a better summon (which I think was named Raiden). Bahamut Zero. Well for the sake of the utter beauty of it's CGI in Crisis Core & I constantly used that first in FF7 when I was younger. Alexander, Anima and i really loved Madeen from FF9. Really. Noones mentioned Cerberus from FF VIII? He casts Triple & Double cast on the entire party! Easily one of the most useful summons ever! I have a favorite for most Final Fantasy games I've played. I'm going to list them since I can't pick among them. 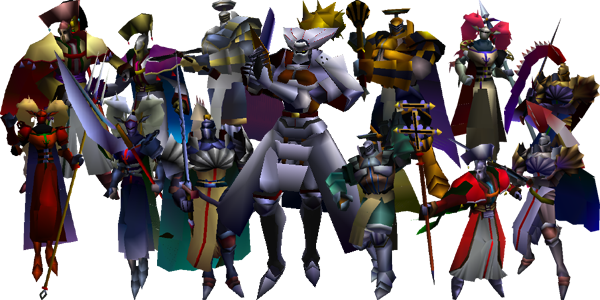 Final Fantasy IX - Haven't gained any of them yet cause game not working. Final Fantasy XII - Adremmelch and Zodiark. Final Fantasy Dissidia - Ifrit and Carbuncle summonstones. There is my worthless list. No one will ever guess which is my all time favorite from said list. No doubt about it. Shiva is my favorite. Her summon has been cool in almost every Final Fantasy game that I've played. Cactaur!!! In Crisis Core Cactaur's dance is hilarious!! Cactaur, Doomtrain, Bahamut, Eden, Anima, & Griever. I love using Ifrit as well even though hes a beginner summon in FF Crisis Core he sure is the coolest! I love Odin! XD He was my second favorite beside Shiva. All the games make Shiva look good in my opinion.